Alabama football- The Alabama Crimson Tide wrapped up homecoming week with an in-conference win over Missouri. The Tide offense started off fast once again with an 81-yard touchdown strike from Tua Tagovailoa to Jerry Juedy on the second play of the game. Tua finished the night 12/22 passing for 265 yards and three touchdowns. Alabama had two different wideouts with over 100 yards receiving in Jerry Juedy and Devonta Smith, with each having a touchdown reception. OJ Smith also added a touchdown catch for the Tide. Damien Harris led the way for the Crimson Tide’s running backs. Jalen Hurts went 7/8 for 115 yards passing, and rushed three times for 15 yards. With all the positives we saw with the Tide offense, there were a couple negatives as well. Tua Tagovailoa seemingly further injured his knee. Devonta Smith and Henry Ruggs III also left the game with injuries. Ruggs was able to return to action. We will provide updates on all these injuries as soon as they are made available. Defensively the Tide looked much better against the Tigers starting things off with an interception by Savion Smith. Smith finished the game with two interceptions. 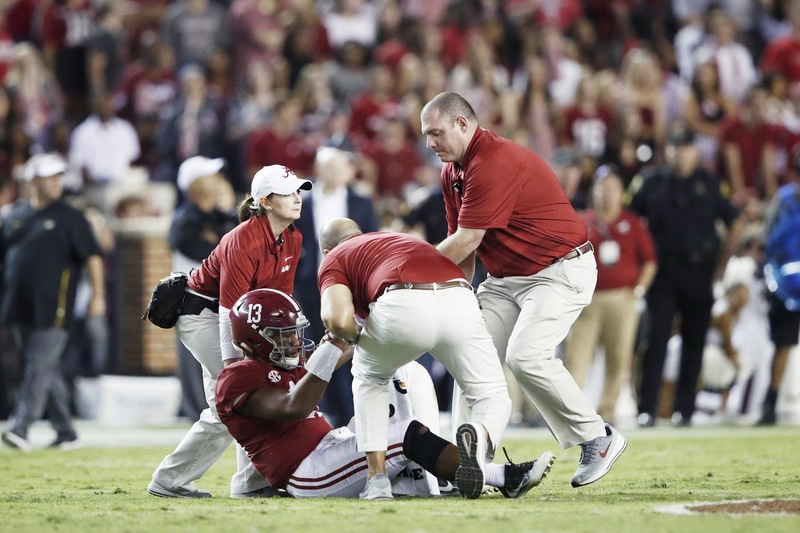 Bama’s defense also forced a fumble and added a safety when Quinnen Williams dropped Drew Locke in the Tigers’ end zone. Quinnen Williams, Raekwon Davis, and Isaiah Buggs were all solid in a strong performance by the Alabama defensive line. 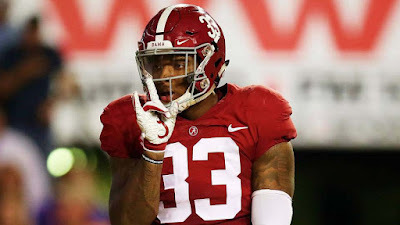 Mack Wilson led the team in tackles with 11. The Bama defense accounted for four sacks in total. The Alabama special teams units looked good as well as Joseph Bulovas went 3/4 on field goals, missing only from 52 yards out. Joshua Jacobs was incredibly effective as the Tide’s primary kick returner with a long of 50 yards. Skyler DeLong continued his punting woes with one punt of 12 yards. Keep it right here with TDAlabamaMag.com after the game for more in-depth analysis and stories from today’s game. Final Score: Alabama 39, Missouri 10.